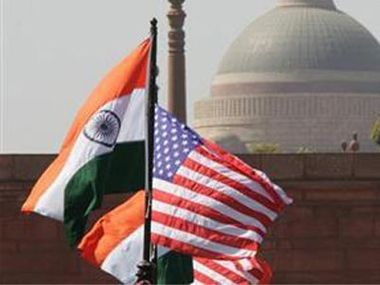 Indo-US first ever bilateral dialogue on U. N.
India and United States have held their first ever bilateral dialoguein Washington on the UN and multilateral issues in the spirit of the Delhi Declaration of Friendship that strengthens and expands the two countries’ relationship. It is importent to recall that In January 2015, during the US President Barack Obama’s visit to India, both nations had agreed to elevate their long-standing strategic partnership.In this regard both nations had signed Delhi Declaration of Friendship that strengthens and expands the relationship between the two countries. Vikas Swarup,Joint Secretary, Ministry of External Affairs has led Indian delegation for dialogue while the US delegation was led by Assistant Secretary of State for International Organisation Affairs Sheba Crocker. First bilateral dialogue provided an opportunity for both nations to discuss a wide range of important issues. The major focus of dialogue was on issues like international peace and security, peacekeeping operations, counter-piracy. They also discussed issues like Post-2015 Development Agenda, UNHRC, and other matters of mutual interest.